To hire the best project manager, your company will need to leverage all of the available tools. 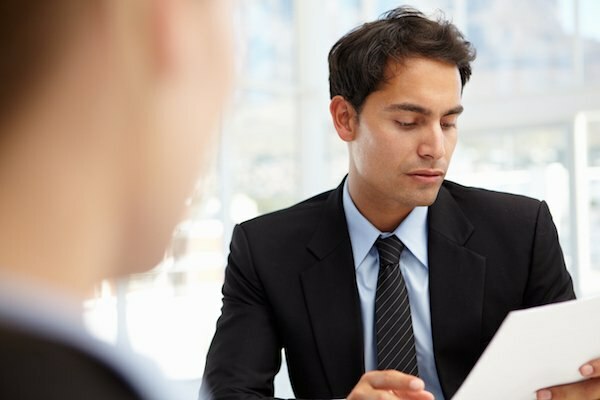 Jumping into a project manager interview without a clear plan can be ruinous. You could fail to identify the best person for the job or you may even miss the best managers altogether. Using a few tips can mean the difference between a successful interview process and a disastrous one. Wielding the wisdom of project management and interview experts, your company should be able to hire great project managers. There’s more than one way to skin a cat. There are dozens of project management methodologies that are extremely effective for all kinds of organizations. Agile, Kanban, and Scrum have been especially popular within the startup community as they favor rapid development, continuous improvement, and constant communication. While it’s hard to pick a project management framework that will harm your productivity, there is always an optimal choice. Do some research about modern project management principles if you haven’t already and choose a methodology that fits best with your company and its goals. Choosing the right project manager begins with an understanding of how project managers function. So, before delving into the interview process, your company will need to conduct some rudimentary research. You’re competing with companies for the top talent. Finding the most qualified project managers is no easy task, and attracting them in the face of other alluring job ads can seem nearly impossible. Make your chances of finding talented leaders easier by researching niche project management sites, forums, and job boards. A good place to start is PMI, the project management institute. Certified project managers will often use this site as a resource so it’s a good place to glean great information and find your first leads. It’s important for project managers to have a deep understanding of the collaborative and creative processes. While technical knowledge is vital for project managers to possess, social skills are of even higher import. Talented team members must be led by a passionate, empathetic, and even-tempered project leader. Without the social intelligence to mollify tensions, facilitate communication, and foster creativity, team morale suffers and productivity slumps. Good project managers are inquisitive by nature. Their curiosity fuels them to uncover more efficient processes, solve complex problems, and more effectively motivate the team. If the candidate you’re interviewing for a project manager position has answered every question you’ve asked clearly and concisely, move the interview further by having them pose a few questions for you. Great project managers have a deep understanding of all the technicalities of project management. If you’re looking for a good leader for your project, you’ll want to make sure they possess the knowledge and know-how to guide your team to success. Try asking them questions about project management methodologies, delving into the details to see if they’re aware of common guidelines and rules. Project management is one of the hardest jobs in any organization. Project managers have to boost team morale, set a course, and alleviate tension. They must produce the best environment possible for the team and make sure the organization as a whole meets its goals. When seeking out qualified and experienced project managers, be sure to do your research first. You’ll need to know what project management methodology you’re company will leverage and how to get in contact with certified project managers. Good candidates will be inquisitive with high social intelligence rooted in superb critical thinking ability. They should possess a deep knowledge of project management principles, rules, and guidelines. Use these five tips to identify, attract, and interview the top project managers. Using these strategies will help you find the best fit for your company, helping you accomplish your project goals and company initiatives. About the Author: Donna Howard is a business consultant working with high growth companies for their business development. She has worked with companies in scaling their business operations from Europe, Asia and Africa. You may connect with her on Twitter.